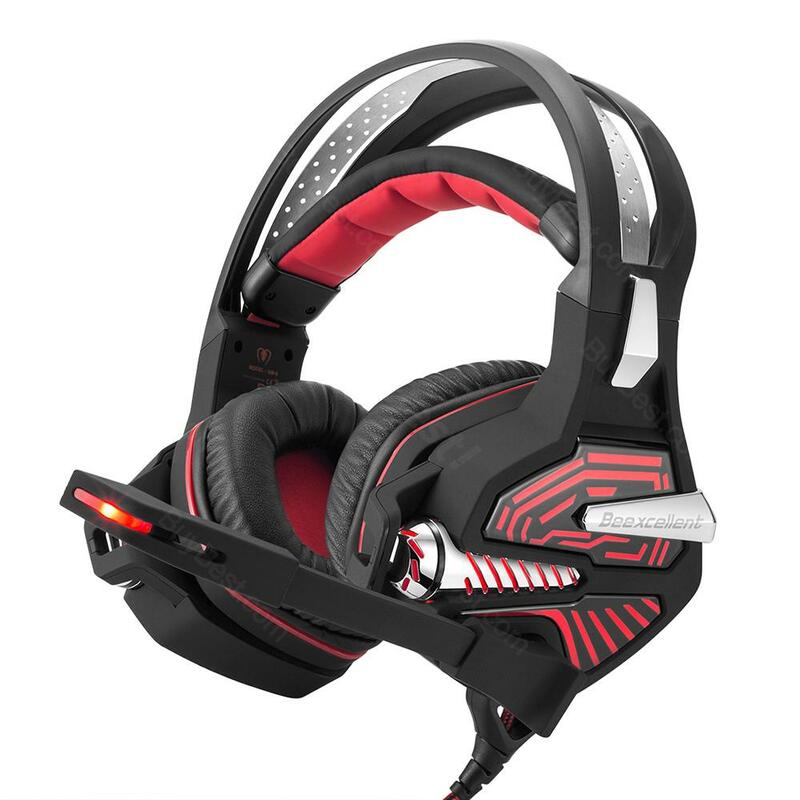 This GM-9 is a primary kind of gaming headset, which brings you vivid sound field, sound clarity, capable of various games. This GM-9 is a primary kind of gaming headset, which brings you vivid sound field, sound clarity,capable of various games. Its super soft earcups are more comfortable for long time wear, and colorful breathing LED lights highlight the atmosphere of the game! • High precision 50mm magnetic neodymium driver, bring you vivid sound field, sound clarity, capable of various games. • Earmuffs used skin-friendly leather material, and super soft Over-ear pads that is more comfortable for long time wear. • Left earcup with a volume controller, more convenient to use. • Colorful breathing LED lights are designed on the earcups, highlighting the atmosphere of the game. • The expansion part of headband is made of stainless steel, strong hardness and toughness and wear-resisting. • Aluminum foil flat cable, comfortable hand feel, durable tensile effectively reduce the external resistance; Velcro cable tie, prevent the line twining. • Exquisite craftsmanship and cool appearance. A quality set of headphones. They look slick. Both music and gaming sound great on these. Max volume depending on input isn't crazy loud coming from the Mom side but loud enough to enjoy on any user side. The microphone has good clear quality sound compared to higher-end sets. Comfort level is good. Audio cable hook-up so you are able to use on mobile devices as well. Some users complained about the USB power for lights, however, if you had battery operated you would complain they are too heavy. I am happy with these. Great mouse for people with larger hands. I previously used the G502, but it was just too small for my hand and grip style and doesn’t have pinky rest attachments. This mouse fits my hand and grip perfectly. My son needed a pair of headphones with a headset for online gaming. These have lasted over a month and seem to work well. He (and I) are very satisfied for the price we paid. Usually headphones are uncomfortable on my ears but these are fine. They got well and work just fine. Arrived on time as well. Purchased these for my son. Price was great compared to the 80.00 ones you purchase at the gaming store. My son insists these are the best headset he has had so far and he has gone through a few of them! The lights are great and the sound is great and clear. This is a great headset for kids. It's small, lightweight, and most importantly... inexpensive. The pads are circumaural, which helps block out external noises. The mic works reasonably well, and flips out of the way when not needed, which is really nice. Materials are reasonable, and it doesn't have any parts that can easily break or wear.